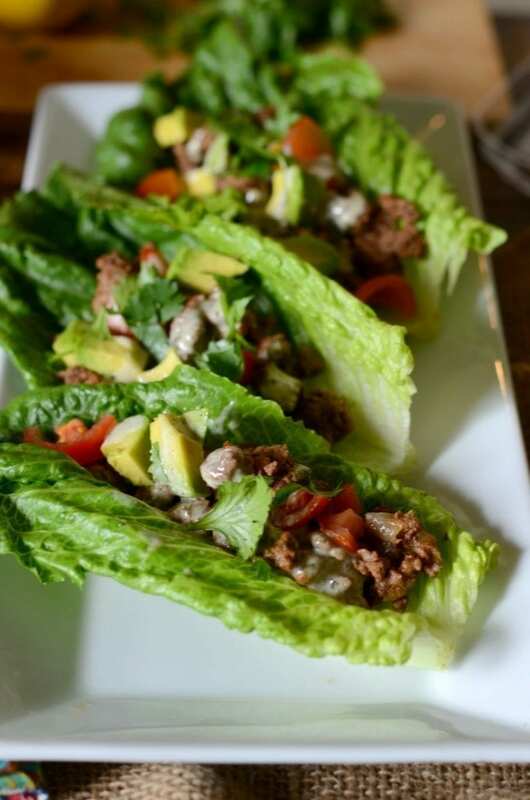 If you are looking for a low-carb dinner that your whole family will, you’ve found it. 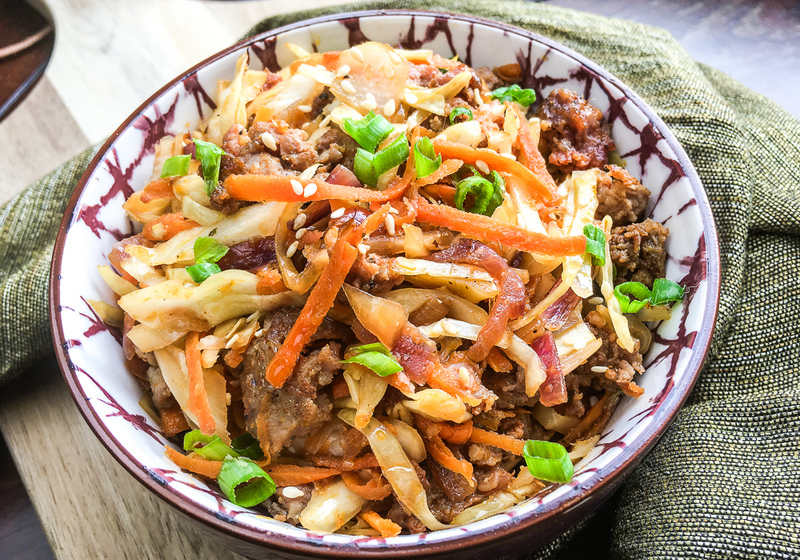 This egg roll in a bowl recipe is a quick and easy dinner that will quickly become a family favorite. The best part is that it tastes just like the egg roll from your favorite take-out place only healthier and quicker to make. Do you have a favorite Chinese restaurant? We do! I say we because the kids have become quite the Chinese food fanatics. If given the choice for dinner out, my daughter will immediately call out her favorite Chinese place in town. She loves the rice but my son loves the egg rolls. I mean, can you blame him? They are deep fried rolls of sausage and cabbage-y goodness. What is inside of an egg roll? 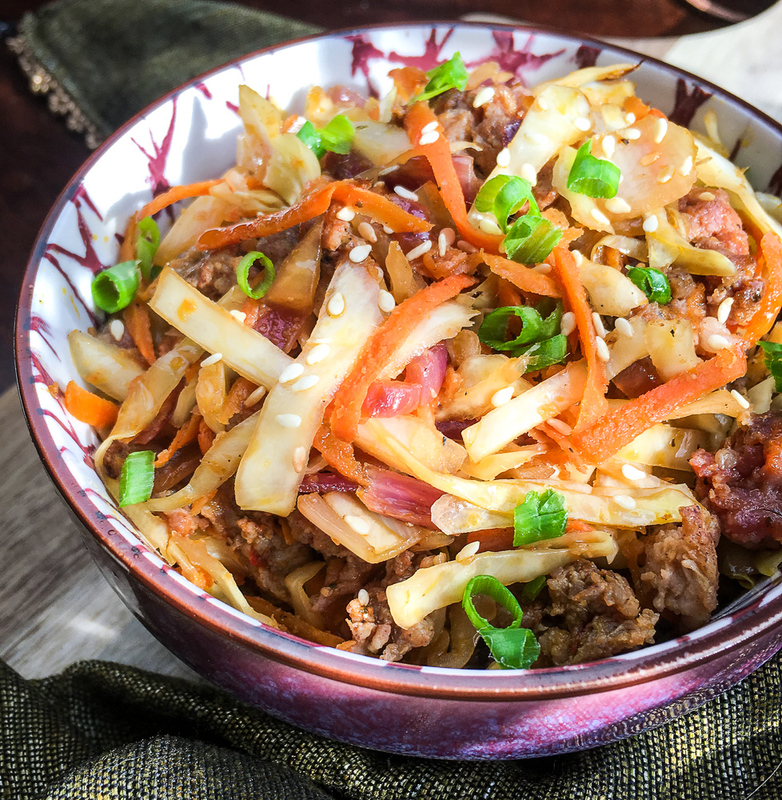 The classic egg roll that we all know and love is filled with shredded cabbage, chopped pork, and carrots. Some places also include bamboo shoots or mushrooms in their egg rolls. The filling is cooked, spooned into a wheat wrapper and deep fried until golden brown in oil. It can then be dipped in a sauce of choice or eaten plain. And yes, that all sounds wonderful, but if you are looking for a low carb version of this classic, I’ve got you covered! What is egg roll in a bowl? Now that I’ve talked about how you make a regular egg roll, let’s discuss how we can make it healthier. You take the same basic ingredients and pan fry them to perfection. You also use a variety of Asian inspired spices that give this low carb dinner a great flavor. On top of being low carb and Keto friendly, this easy dinner recipe is also gluten free and Whole30 compliant. This recipe is also faster than a classic eggroll because you skip wrapping and deep frying it. When it comes to the pork the leaner that you can get, the better. 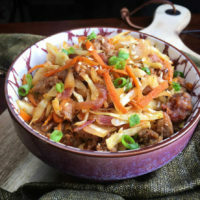 If you don’t have pork on hand you can still make this recipe using ground beef, ground turkey, or ground chicken. I used spicy pork sausage but feel free to use regular or even breakfast sausage. You can either purchase fresh vegetables or you can look for a bag of mix that contains the carrots and cabbage. Both work well in this recipe, but the bagged vegetables will help speed up this recipe. How do you make egg roll in a bowl? After you gather your ingredients you will also need to grab a high sided skillet for this recipe. This way you are able to cook everything in one pan and not use anything extra dishes. Start by browning the pork sausage until no pink remains, about 5 minutes. Remove excess grease, taking caution to wipe the sides if it drips. Add in the water to help deglaze the pan. Add in the remaining ingredients, except the rice vinegar and coconut animos. Allow to cook until the cabbage has wilted and the carrots are tender crisp, about 5 minutes again. You want to stir frequently to prevent anything from sticky to the bottom of the pan. Lastly, add in your rice vinegar and coconut animos to your veggie/sausage mixture. Heat through and serve hot. 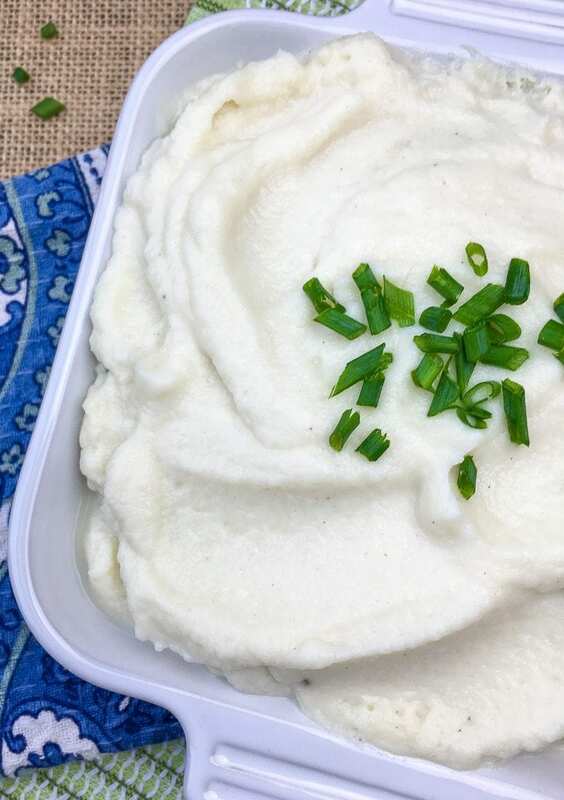 You can serve over riced or mashed cauliflower to keep it low carb and gluten free. Heat a large high-sided skillet over medium-high heat. Add sausage and cook, breaking the meat into small pieces as it cooks, for approximately 5-6 minutes. Once sausage is no longer pink, remove from heat and carefully drain excess grease from pan. Safety Tip: Wipe off any excess fat that drips down the side of the pan before returning to burner. Return skillet to heat. Add water and scrape up brown bits from the bottom of the pan with a spatula. Reduce heat to medium and add shredded cabbage, carrots, garlic powder, sesame oil, ginger, and green onions. Season with salt and black pepper, to taste, and cook, stirring frequently, until the cabbage wilts and the carrot softens, approximately 4-5 minutes. Add rice vinegar and coconut aminos and stir to combine. Cook another 1-2 minutes or until heated through. Remove from heat and transfer to a serving platter or bowl. Sprinkle with toasted sesame seeds, if using, and serve immediately. Enjoy! This egg roll in a bowl is now added to our family favorites. So good and I love the swap of the coco aminos- makes everything diet friendly. Yes! Coco aminos are my favorite healthy swap! 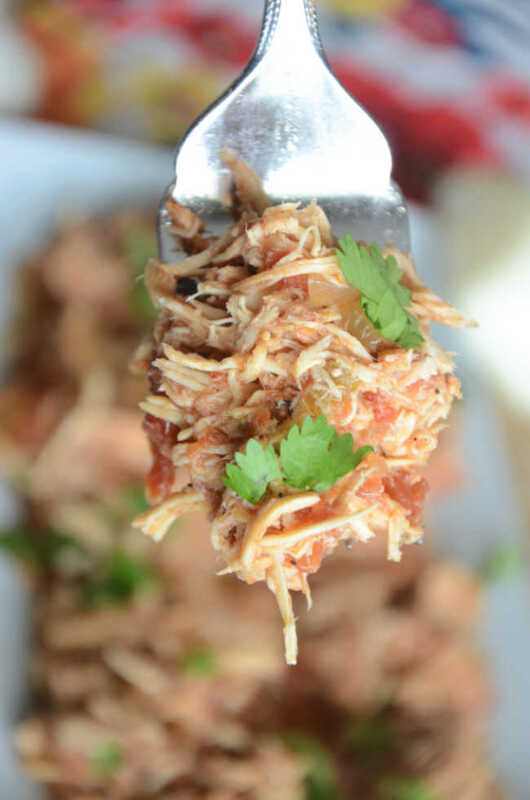 This is by far one of our favorite keto dinner recipes. 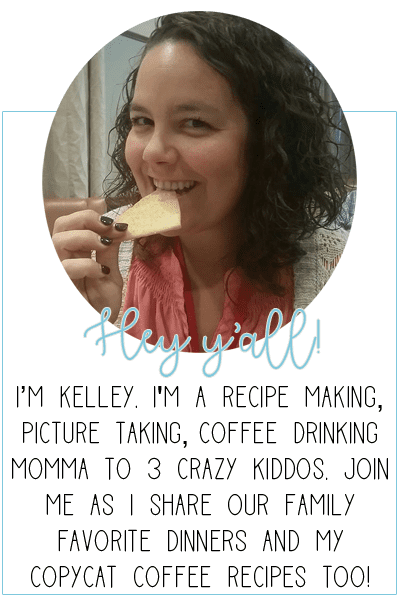 Thanks for sharing your version! Yes! One of mine as well!